Pulling all-nighters is a time-honored study practice. It’s likely that every student at some point has stayed up all night long cramming for a test they don’t feel prepared for. But losing sleep doing this rarely helps to make the grade. Studying all night is ineffective. There’s a reason why your parents have been telling you since you were a child that getting a good night’s sleep is important. It’s because sleep deprivation can affect your cognitive abilities. 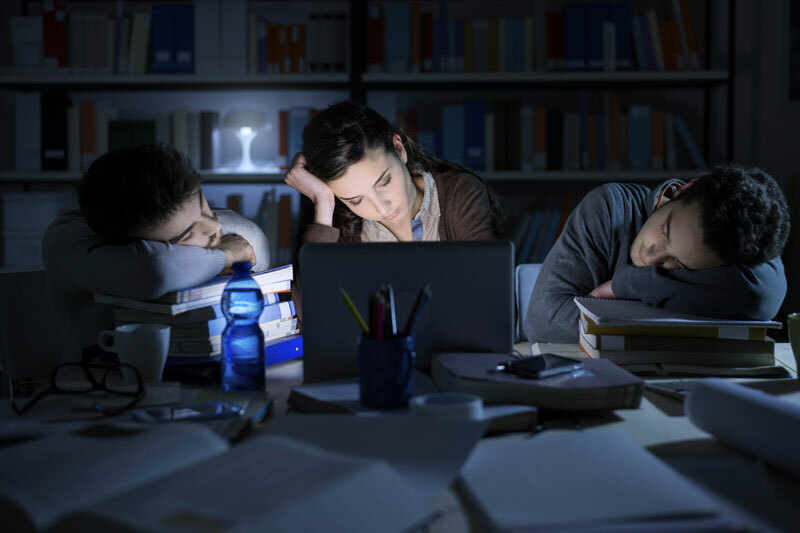 Instead of turning in early and resting up, those who opt to study all night long—a midterm, a final, or the MPRE—are likely to be exhausted the next day, unable to focus or even remember most of the information that they desperately tried to review the night before. Why do people resort to this kind of test preparation strategy? Well, it all depends on the situation. Some students may have a tendency to procrastinate, giving them less time to prepare once they actually get started. Others might think there is too much information to review in the allotted amount of study time so they just put it off because they're overwhelmed. Whatever the reason, pulling all-nighters may seem like a good idea when the night is young. But whether you’re in high school, college, or law school, it is a study mistake because it puts you at a definite disadvantage when it comes time to sit down and actually take the test. According to the National Sleep Foundation, adults should get seven to nine hours of sleep per night to be healthy. But most people sleep far less than recommended, the Centers for Disease Control and Prevention found in a study it conducted in 2009 that examined adult sleeping patterns. Reportedly 35.3 percent of the 74,571 adult participants in the study slept less than seven hours. And the lack of sleep affected them the rest of their day. “The most common sleep-related difficulty was concentrating, which was reported by 19.4% of respondents who received 7–9 hours of sleep, but 29.3% of those who received 7–9 hours of sleep per night,” the study said. Additionally, 37.9 percent of the participants reported that they unintentionally fell asleep at least once while the study was taking place. Between having trouble concentrating and struggling to stay awake, the study demonstrates how sleep plays a critical role in one’s ability to function properly, especially when the stakes are high and the outcome is important. The best way to avoid having to study all night before a test is to prepare ahead of time. Don’t wait until the night before a test to open your notebook. Instead, get yourself motivated to study for the exam so that you’ll start sooner rather than later. This way, when it’s the night before the exam, the only last-minute tips you’ll need to follow are setting your alarm, packing a bag, and getting a good night’s sleep!